A bunch of Kapamilya stars slept happy on Sunday evening after trooping to the final Manila show of the Filipino-American stand-up comedian Jo Koy at The Theater at Solaire. Jo Koy or Joseph Glenn Herbert rose to fame as a YouTube vlogger for poking fun of the ways that his Filipino mother raised him. Rumored celebrity couples including Bea Alonzo and Gerald Anderson, Liza Soberano and Enrique Gil, Joshua Garcia and Julia Barretto and Miho Nishida and Young JV came to watch the show. Meanwhile, married couples Amy Castillo and her husband Carlo and Guji Lorenzana and his wife Cheska were also present at the event. 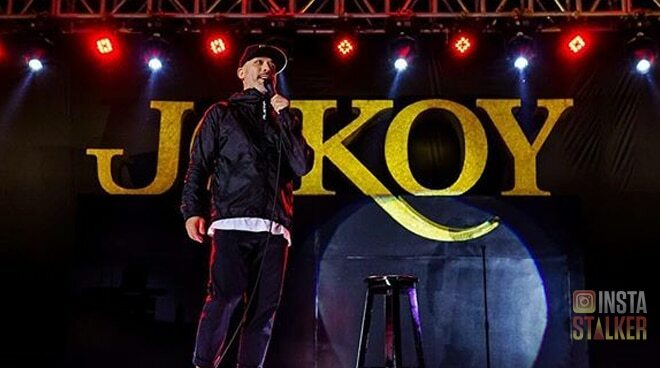 Thank you @jokoy for giving Manila another show! We had a blast! Thank you @traceymtf! Soon-to-wed couple Iza Calzado and Ben Wintle also came to have a good laugh. Concert King Martin Nievera, who was also present at the show, caught the eye of the popular comedy act.